What CVS Health knows about prescriptions could fill a few Target superstores. And what Target owns in real estate could remedy many of CVS’ expansion issues. So like bacon and doughnuts, they’ve made what at first seemed an unlikely pairing – until you think about it. As the analysts have made clear, Target’s agreement to sell its pharmacies to CVS Health can resolve several competitive challenges for both brands. That said, they’ll each need to take anarecautiolytical pns to avoid certain side effects. Essential to the partnership working is its ability to mutually benefit both companies, and achieving that balance will take much work rolling forward. 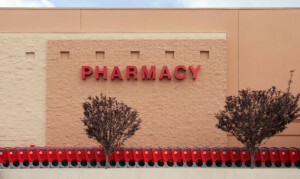 No doubt the advantages are there on face: Transitioning the pharmacy brand from Target to CVS enhances the opportunity to attract more customers and foot traffic through Target stores, while unloading what is for Target a highly regulated distraction. Target’s pharmacy business generates less than 5 percent of its nearly $73 billion in revenue, according to a report in Forbes. Prescription drugs at the $140 billion CVS, meanwhile, represent almost 71% of revenue. Location, location, relations: The first logical consideration for both retailers would be whether the 1,600 Target locations are highly complementary to the CVS network. To be sure, Target would carry CVS into new markets, particularly in the Northwest, but location opportunities extend beyond physical geography. Rather, a location’s worth hinges on the brand’s ability to engage with that immediate customer base through culture, values or basic needs. Retailers have performed store network optimization for years, but the days of taking down license plates or using statistical data are well past their “best before” date. Thanks to data assets based on loyalty insights or even digital data (Target customers can refill prescriptions online, for instance) it is possible to identify unique customer characteristics that would shape each brand’s regional activity. Customer quality: Retailers have relied on several standard performance measures for years – sales per square foot, traffic patterns, basket size, same-store sales, etc. But I am not sure these methods cut the clutter enough. Unless retailers understand their individual performances at the customer level, they cannot determine whether a partnership will change the nature of who is coming into their stores. In the case of the CVS and Target, the partnership should enhance the brand offerings to the extent of attracting a new type of customer, as well as enrich the offerings to those customers most important to each brand’s strategy. Let’s imagine that CVS and Target compared notes on their retail performances at this level. It is far easier to make such a bold move if Target is confident the CVS team will bring a platform of business, and new customers, which will be mutually beneficial over time. Additive merchandising: In today’s fluid retail landscape (in fact, we might as well consider it tomorrow’s landscape), one of the certainties among high-frequency retailers is that everyone is eating everyone else’s lunch. In other words, each retail class is selling more products that cross into other retail classes. Grocers have moved into pharmacy, general merchandise merchants are into grocery, and at my local Staples I can buy a selection of office snacks. Perhaps the highest-potential data opportunity here, for partnering companies, exists in a critical evaluation of where product overlaps exist and whether it makes sense to create a model to clarify which merchant sells what. In the case when there is limited control of aisle-by-aisle inventory, as is likely for national chains like Target and CVS, the conversation may instead address how the two brands can maximize sales in certain categories cooperatively, by understanding the specific shopping dynamics of customers in their respective stores. Is there a real 1+1=3 equation in these kinds of relationships? Now that CVS and Target have announced what many consider a common-sense pairing (again, doughnuts and bacon), retailers should expect to see more such brand partnerships and roll-ups. American Express’ Plenti deal and Canada’s AIR MILES Reward Program, for example, marry several brands in a way that benefits all involved, because they can leverage each other’s customer relationships. But make no mistake, the success of such partnerships will hinge, largely, on how data factors in to the deal.